Las Vegas can be a crazy town, but its best training centers preach technique rooted in science and logic. This gym will help you take any sport to the next level! One of the major appeals of going to Las Vegas is engaging in activities you can't find in your sleepy hometown. They say what happens there stays there, but the Institute of Sport Science & Athletic Conditioning can give you something to take home and put to use immediately. 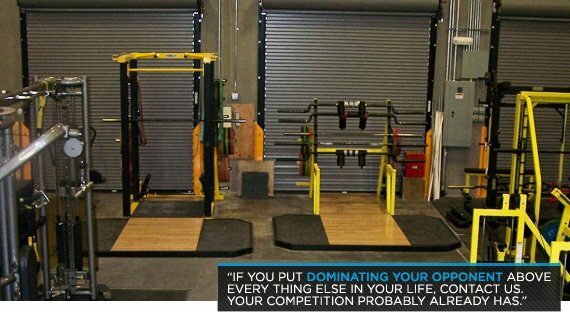 The training and lessons this unique training academy provides its clients are intended to help them leave opponents in the dust, no matter what type of competition they call their own. Owner Michael Palmieri tells us he demands total commitment from his clients, but in exchange, he offers complete discretion and high-end facilities befitting the city of sin. That's why the Institute of Sport Science & Athletic Conditioning is our gym of the month! It started with a team of experts in the sport science field who wanted a single place for an athlete to be able to dominate their sport. Rather than work against each other, the team felt we could do so much more for our clients when working toward the same goal of making athletes and teams better. A lot of sweat and blood, and not much sleep! 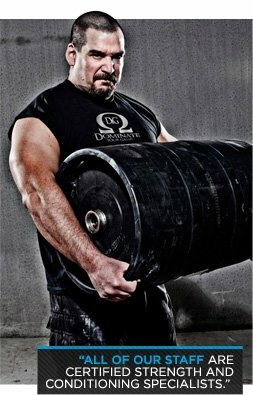 Our no-nonsense and 100 percent dedicated approach to making our clients dominate their sport. Every athlete in our care has the entire sport science spectrum at their disposal. Truly dedicated and committed individuals and teams that carry with them the all-or-nothing attitude of a true athlete. That we accept, expect, and demand nothing but 100 percent commitment and dedication from all of our clients, whether they are an elite-level athlete or a 74-year-old hip replacement patient. And with the entire spectrum of services that we offer, we will help them dominate. What makes your trainers so good? We only select the top individuals in their respective fields and in the industry. There is a rigorous screening process, and out of the tons of resumes we're constantly receiving, we only select a small percentage. All of our staff are Certified Strength and Conditioning Specialists (CSCS), no matter what their position, in order to assure they have a proper appreciation of total sports application. Who are some of your notable present and past members? 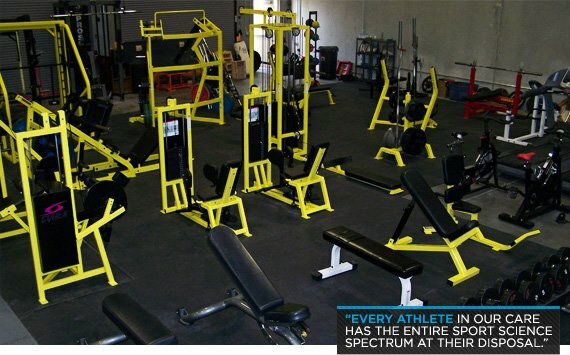 Unlike other sport training companies, we do not boast the popularity or status of our clients. In the early days of our company, many of our customers asked for a certain amount of confidentiality when they used any of our services, and we obliged their requests. Today, we still maintain that high level of discretion for all of our clients, including voluntarily following HIPAA standards for all clients and record keeping. We do not ask our clients for their testimonials, their likenesses in commercials, etc. Nor do we allow the public to pass the lobby. There is no spectator area. It's the hardest as well as the best: keeping up with our awesome athletes! They work us as hard as we work them. There is no competition. No one offers the wide variety of sports science services that we present to our clients. How have you been able to be successful, and how do you plan to thrive in the future? By not forgetting our origins: the basic philosophies and hard work that have been our foundations from the beginning. We are heavily involved in volunteering with the youth organization PB & J Leadership Training, a nonprofit organization dedicated to keeping kids off of drugs and out of gangs by teaching them responsibility, discipline, and how to be leaders in their communities through what we call "Positive Peer Pressure." Does having a facility in Las Vegas, an entertainment destination, give you an edge in the fitness business? It makes it easier for out-of-town clients to find places to stay and eat. But when they are with us, they don't have the time to take in the sights. Do you get a boost as a host city from the Olympia and other athletic competitions? Absolutely. More and more sports and competitions are making their way out here, and that helps us provide our services to a broader audience.